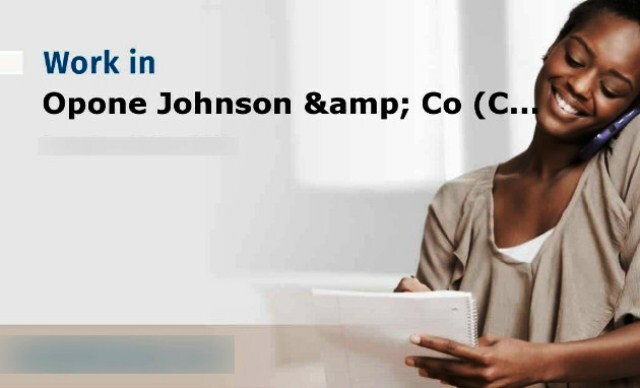 Opone Johnson & Co, our firm commenced its operations in June, 1988, after the Managing Partner left the services of Aluko Joseph Beadle & Co as a senior Partner in December 1987. We are one Nigeria's leading Accounting & Audit firms. Must be below 35 years with at least 5 years post professional qualification experience in a reputable firm of Chartered Accountants of which minimum of 3 years was aquired in tax practice. Must be Computer literate and the ability to use more than one accounting package will be an added advantage.